In October 2018, Joan McAlpine MSP took centre stage at the Scottish Parliament’s Culture, Tourism, Europe and External Affairs Committee looking into the Glasgow School of Art fire. The fire at the Mackintosh Building on 15 June devastated this architecturally significant and world-famous building. At that time, the building was still undergoing restoration from the severe damage caused by a previous fire in May 2014, which was accidentally sparked by a student project. At the time of the second fire, the Mackintosh building was therefore a construction site, and Ms McAlpine, the Scottish National Party member for South Scotland, focused some of her questions on the fire safety precautions that were in place. Among other things, she asked about the ducting, fire stopping and fire detection measures. This hearing should be watched online by anyone in the construction industry who is thinking about how they manage the risk of fire on their sites, because when that risk is realised – for whatever reason – the level of scrutiny can be very public and very damaging to both reputation and the bottom line. It took 120 firefighters to deal with this huge fire; it not only affected the Mackintosh Building but surrounding buildings as well. Like all fires, determining the cause is critical to understanding how to learn from them and improve future mitigation. There is still no sign of the fire investigation report. The Glasgow School of Art fire is well known. It speaks to the potentially wide ranging and long term impacts a construction site fire can have not only on the contractors and client involved in the construction but also on nearby residents and businesses. Some businesses were only finally able to return to their premises four months after the fire and have racked up considerable losses as a result. Reinsurer, Munich RE provides a useful reminder about the consequences of fire in its guide to loss prevention due to fire on construction sites. The actual numbers of and loss from fires on construction sites is hard to work out as statistics from insurers are shrouded in commercial secrecy. The aggregate statistics from the Association of British Insurers don’t provide enough granularity to get to the level of detail required. A trawl through the HSE statistics reveals next to nothing about fire safety infringements where the HSE is the enforcer under the Regulatory Reform (Fire Safety) Order 2005. It’s hard to work out the size of the problem of fires on construction sites – if it is improving or getting worse over time – when the data is not easily accessible. Is the Glasgow School of Art fire unusual or part of a trend? The objective of the Code is the prevention of fires on construction sites and its scope applies in general to projects with an original contract value above £2.5 million. The Code turns up in pretty much every document relating to fire on construction sites. Compliance with the Code can be written into insurance contracts, so it clearly holds considerable sway in the industry. Along with the Code and the HSE HSG168, Fire Safety in Construction, contractors on large value sites like the Glasgow School of Art renovation are subject to a raft of legislation that has safety and the management of risk at its heart. And yet fires still happen. Major fires grab the headlines for a news cycle or two and then they are relegated to the provincial press and retain a longer-term interest for a local audience. Not so the tragic fire at Grenfell Tower almost exactly one year before the Glasgow School of Art fire. While it was not a fire on a construction site, its consequences are being felt at all stages in the planning, construction and management of buildings across the UK. The Grenfell Inquiry chaired by Sir Martin Moore Bick continues to hear evidence from its expert witnesses, from the London Fire Brigade and now from the bereaved, survivors and residents. Fire safety maintains a presence like never before and it’s not just for those living in high rises, but also for anyone who watched the Grenfell Tower fire on 14 June 2017. As part of the response to the Grenfell Tower fire, Dame Judith Hackitt published her Independent Review of Building Regulations and Fire Safety. It is 156 pages long and a complex read that is intended to establish, ‘A new regulatory framework focused, in the first instance, on multi-occupancy higher risk residential buildings that are ten storeys or more in height’. Dame Judith was previously the Chair of the Health and Safety Executive (2007 – 2016) and the influence of the HSE approach runs throughout her report. 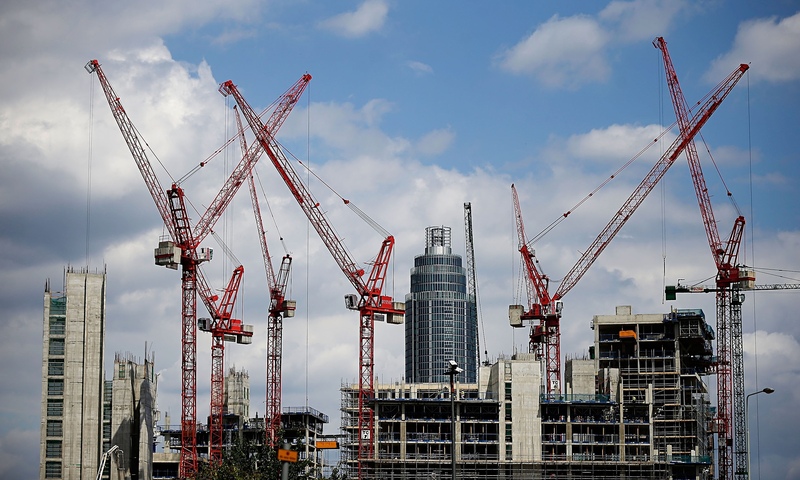 Understanding the Hackitt Report and reacting to its contents is critical to those working in the wider construction industry because while the focus for now is on high-risk residential buildings, the scope of the regulatory framework could eventually extend to other types of risk. Dame Judith sets out, ‘the overarching principle that responsibility for understanding and managing building safety must rest with those duty holders whose building work create the risk. This is a significant culture change but it has the potential to help underpin a more modern, productive and safe building sector’. The Hackitt Report recommends a Joint Competent Authority to oversee the golden thread of construction from planning to handover. She is focused on how the building is constructed and how building fire safety is considered at every stage. It is only logical that fire safety on construction sites is also part of that same consideration. In Dame Judith’s report she uses the word ‘risk’ 292 times. That makes sense and will be of no surprise to anyone working in construction or in any part of the fire sector. The other word that is peppered throughout the report is standards. In England, the Home Office is responsible for the fire and rescue service and it is shining a spotlight on standards with the creation of a new Fire Standards Board. With a new Chair and Vice Chair to be announced during the autumn, it is set to mark a considerable step change for the fire and rescue services in England. It comes shortly after and is complementary to the reintroduction of a formal inspection regime under HMICFRS. The National Fire Chiefs Council is surveying fire and rescue services to work out how they are all looking at risk in their communities – through their Integrated Risk Management Plans. There are 50 fire and rescue services in the UK and potentially 50 different ways of assessing risk. Getting a standard against which to assess ‘what good looks like’, appears timely and in the right direction of travel. Allied with a massive investment to update and maintain national operational guidance for fire and rescue services across the UK, the emphasis on consistent approaches and a commitment to improve firefighter safety and public safety is considerable. All of this creates a fertile environment for making sure standards underpin all aspects of fire safety throughout a building’s life. When looking at the construction phase, EN 54 Fire detection and fire alarm systems applies. No longer do alarm systems need to rely on fixed, hard wiring, as wi-fi technology has allowed firms working in this space to create more flexible solutions. An example of innovation is the wireless fire alarm provided by Biosite Systems, where the alarms form a meshed system that creates a network of ‘paths’ across a construction site that may be working on multiple levels. Coupled with an integrity check, unique to Biosite Systems, those in charge of fire safety on site have the reassurance that any dropped connections are immediately identified via a base station. While risk changes as the building develops through its construction phases, the need for managing fire safety remains a constant. Knowing that fire safety products in use on a changing construction site are standards compliant provides considerable assurance in the management of that risk. The Glasgow School of Art fire is a sobering reminder of the importance of investing in high quality, standards-based fire precautions on construction sites in particular. If any doubt remains, watch the Scottish Parliament committee hearing online. Right now, fire safety has never been so topical and that is unlikely to change for some considerable time.